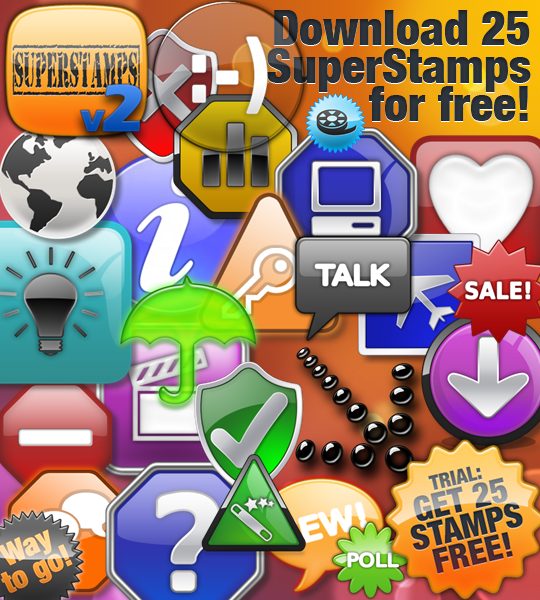 We have developed a Snagit Stamps Graphics Pack called SuperStamps. 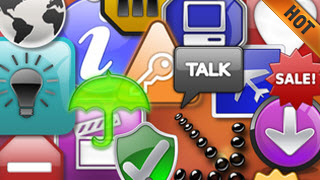 SuperStamps now includes more than 4,500 professionally designed graphics/icons that you can access and use directly from within Snagit (Mac and PC) and other graphics software like Microsoft Word, Powerpoint, Mindmanager, Camtasia Studio, SmartDraw or for example video applications. As a small token of our appreciation to our visitors, we are now giving away a smaller version with 25 images, many not included in the original SuperStamps. 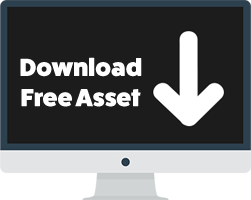 You can freely download this package and use it in both educational, commercial or for private use. The only thing we ask you is to not resell or give it away. Спасибо огромное, это просто находка! Thank you very much, this is a godsend!